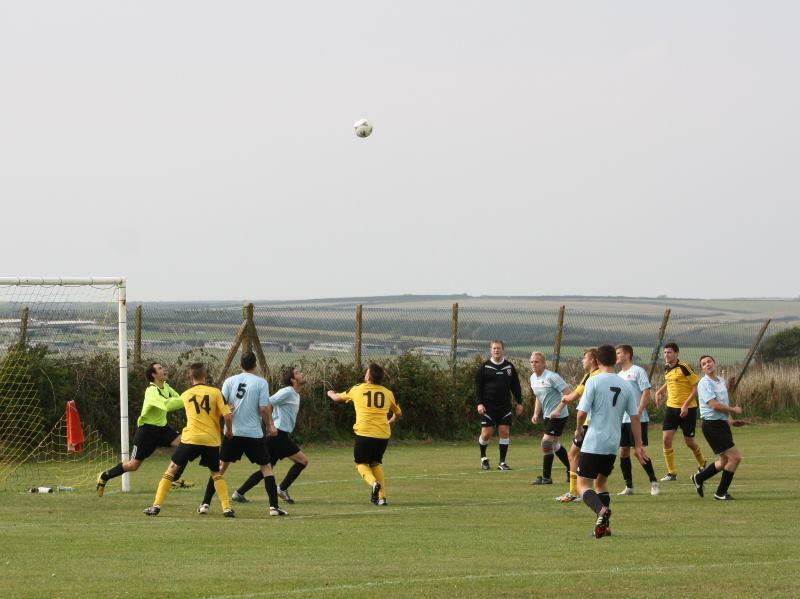 Neyland 1st X1 made the short trip to Herbrandston on Saturday 13th September for the return fixture in the First Division of the league!! After the first 25 minutes the balance of play was equally shared between the teams with both defences appearing to be in control of any attacks which the opposition could throw at them. The real battle was in midfield where there was frenetic tackling and ‘no holds barred’ in attempts to trigger attacks by respective sets of forwards. In the 30th minute one of the Neyland defenders was adjudged to have handled the ball and Herbie were awarded a penalty. 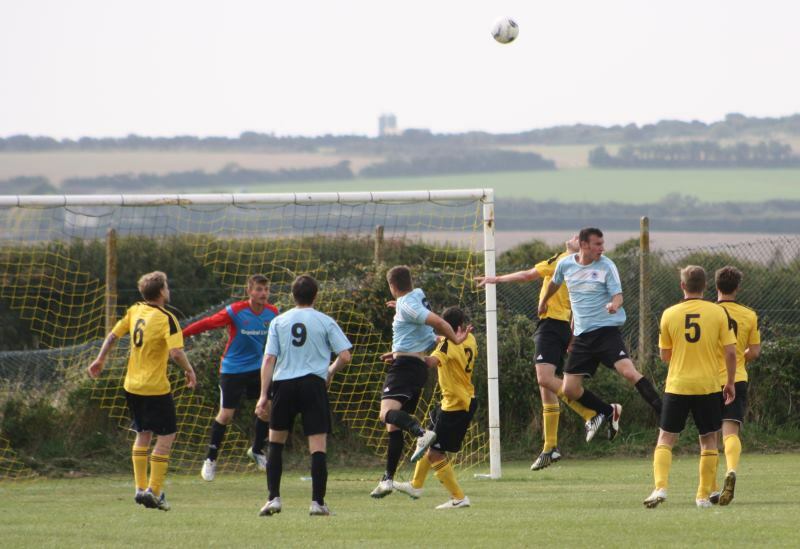 Although visiting keeper, Patrick Hannon dived in the right direction the ball was out of reach and tucked away in to the bottom corner. So at half time the sides were separated by the penalty. 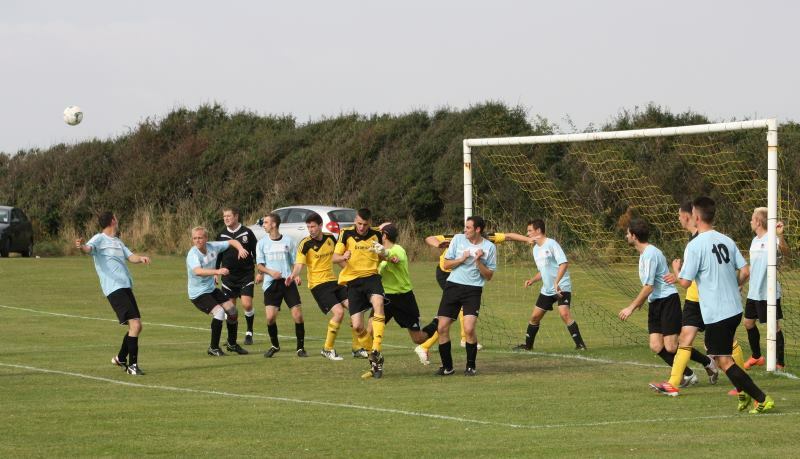 During the second half an early mistake was made by one of the visiting defenders when an attempted ‘back header’ intended for the keeper, failed to be sufficiently weighted giving Patrick Hannon no chance in preventing the Herbie striker from latching on to the ball and despatching it in to the net for their 2nd goal. Things got even worse for the Nomads when the homesteads scored a third after the ball was less than adequately dealt with by the visiting defence. With virtually the last kick of the match, Neyland scored a consolation goal when Henry Durrant picked up the ball from just outside Herbie’s box and struck a low shot to the bottom left hand corner. So after two successive wins, the Nomads were dealt a reality check and now look forward to a more positive outcome next Saturday when they visit newly-promoted Angle. This entry was posted in Sports on September 14, 2014 by admin.